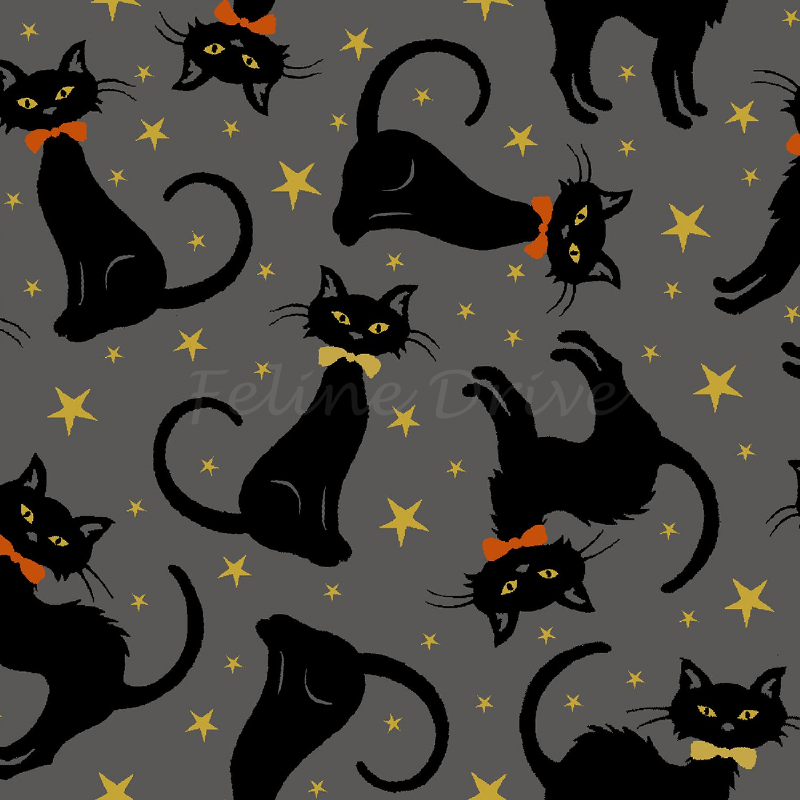 Midnight Spell is a gorgeous collection with sparkling prints and traditional Halloween colors. 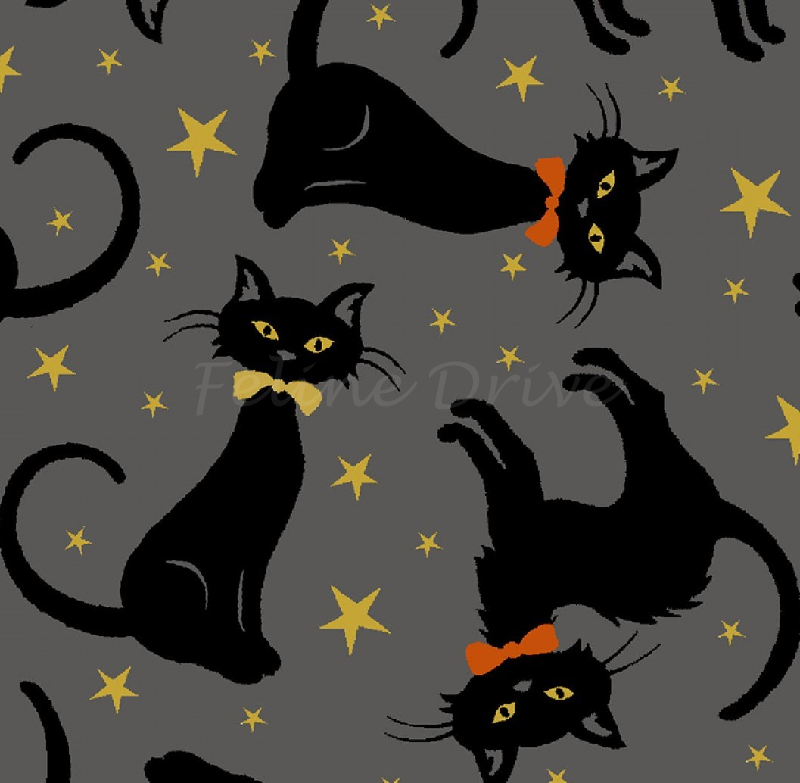 This fabric features black cats tossed on a grey background with gold metallic stars. Cat eyes are also gold metallic. Print Size:Cats are approximately 2" to 2.25" tall.